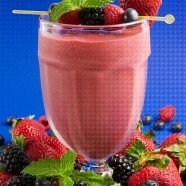 I never met a person who’d turn down a glass of freshly made berry smoothie! Not just tasty and nutritious, but also great looking, these beverages make a healthy addition to breakfast, serve as a mid-day snack, or a delicious after dinner dessert. 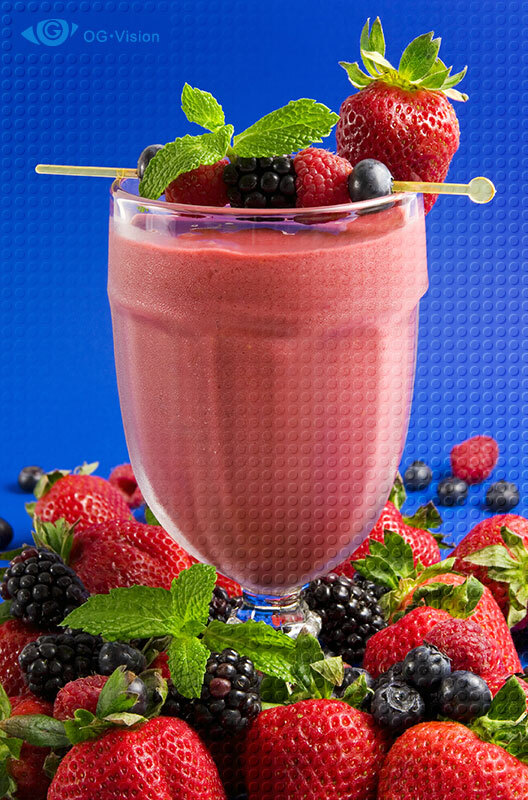 Smoothie in this picture is made of fresh strawberries, blueberries, blackberries, and raspberries blended with ice and honey. 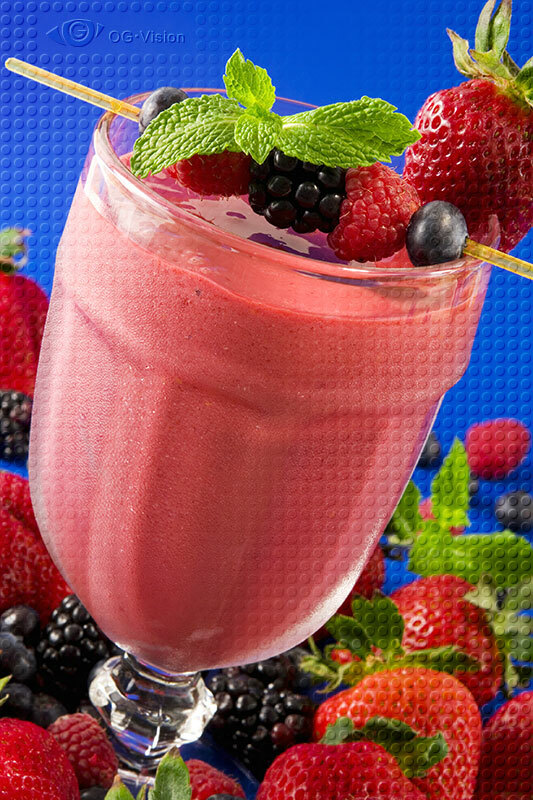 It’s served in a glass goblet with an olive pick holding berries from which the smoothie is made and little mint leaves. Filed under Berries, Beverage, Food. Tagged black, blackberry, blue, blueberry, drink, healthy, mint, pink, raspberry, red, smoothie, strawberry, vitamins.